Motor shows are often about the concept cars - a chance for us to see the weird and wonderful that's about to come. Or at least the weird and wonderful that manufacturers hope is about to come. When car designers are let loose, good things can happen. So, enjoy these ten glorious concept cars while they're new, because by the time the realities of safety legislaton and cost restriction do their work, they'll be but a pale shadow of what they were. Or dead. 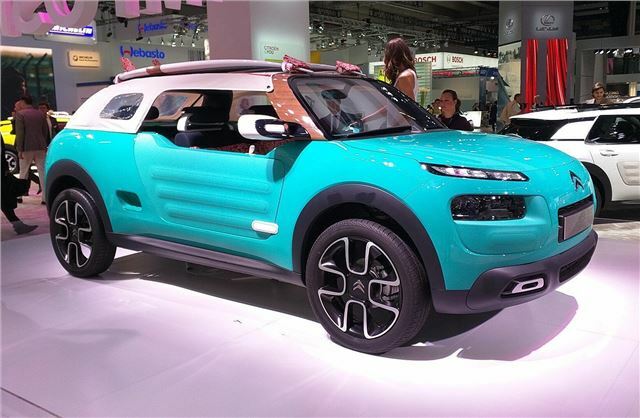 If the C4 Cactus isn’t surreal enough for you, the Citroen Cactus M really should be. A convertible crossover beach buggy, it features two plastic doors, a plastic rear tailgate and a rollover roof that doubles up as a tent. The name is a nod to the 2CV-based Citroen Mehari that spanned into three decades of production from 1968 – so there’s every chance Citroen could produce something like this.